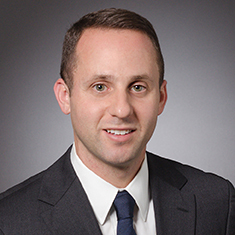 Marc Reiser concentrates his practice on a broad range of transactional and general corporate matters, with an emphasis on mergers and acquisitions, private equity and securities transactions. As an experienced business attorney, Marc regularly advises public and privately held companies, private equity sponsors, start-ups and family-owned businesses in all aspects of corporate transactions, including domestic and cross-border M&A, joint ventures, corporate financings, venture capital transactions and leveraged buyouts. His clients are involved in a variety of sectors, including technology, food and beverage, telecommunications, consumer brands and financial services. He also counsels public and private companies on securities offerings as well as general governance issues and reporting requirements. Marc previously practiced at an international law firm in New York. Prior to attending law school, Marc worked for several years at the "Big Four" accounting and consulting firm PricewaterhouseCoopers LLP, advising private equity funds and other investment companies on a wide range of corporate transactions. Shown below is a selection of Marc’s engagements.